Shivaji Rao Gaekwad or Rajinikanth, a self made superstar, Padma Bhushan, Padama Vibhushan, politician, playback singer, screen writer, film producer and an actor, who is worshipped as God in south India. In 1950, the great Indian superstar was born in a Maratha family in Mysore. His parents named him Shivaji Rao Gaekwad after a legendary Maratha king Chhatrapati Shivaji. He lost his mother when he was just nine years old. His brother enrolled him at Ramakrishna Math. There he was taught Vedas, Indian history and traditions. He used to enjoy watching films, soon his intrest started to develop acting. He was quite good at studies and sports as well. Then he got admitted to Acharya Pathasala where he avidly participated in theatres and plays. In school, he had already decided to make his career in acting. After his school, his father got retired from his job. To support his family, he took up many odd jobs like porter, carpenter and then bus conductor in Banglore transport Service. He was quite famous among passengers because of his distinctive style of whistling and issuing tickets. After work, he used to act in local plays to foster his acting skills. In 1973, Rajinikanth decided to quit his job and take admission in Madras Film institute. But his family was against his decision because of poor financial condition of his family. But his fellow bus driver helped him financially and he resigned from his job to take admission. In Madras Film institute, he met the famous filmmaker K Balachander, who offered him a role of 15 minutes in his movie. Nobody considered his presence in that film. After that, he acted as Villain in a number of movies. In 1977, Rajinikanth played positive side role in movie Bhuvana Original Kelvi Kuri which was a great hit on box office. He earned a lot of female fans after this movie, which motivated producers to cast him as lead hero. His acting skills earned him success in short span of time. By the end of 1980, he became a well known actor of Tamil industry. With time, he started acting in various languages like Kannada, telugu and hindi apart from Tamil. In 1995, his films started getting popularity all over India because of his charismatic screen presence, cigaretee and sunglass flipping style. He became trendsetter because of his style statements. He made a simple thing very fascinating with his unique style. His hairstyle, dialogue delivery and the way he walked fascinated his fans. Even a flip of coin, made audience all over India go crazy about him. The superstar became the hit machine of industry. Producers developed huge faith in him. People started to believe that mere his presence is guarantee of success. In 2010, Forbes named him most influential person of India. He also received award of Excellence of the Decade by NDTV in same year. He also received numerous Filmfare awards. In 2013, NDTV named him among 25 “Greatest Global living legends”. He was also named by Asiaweek as most influential personality of south Asia. Rajinikanth received Padama Bhushan and Padama Vibhushan from government of india in 2000 and 2016 respectively. At 45th international film festival of india, he was honoured with ‘Centenay Award’ for Indian film personality of the year. 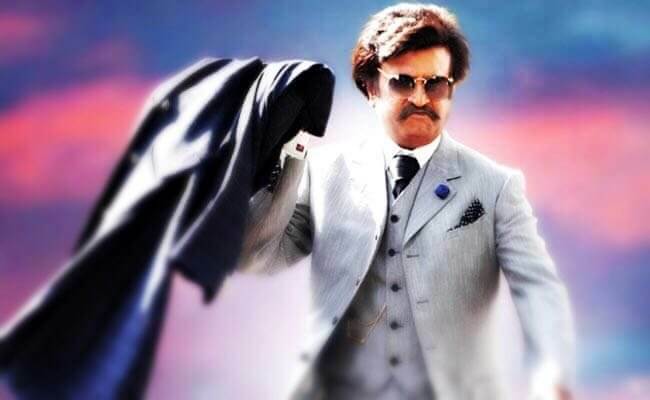 Today at age of 68, he proved that age is just a number by playing main leads and giving hits consistently in movies like Robot, kabali and 2.0. In 2017, he announced his entry in politics to serve the nation with spiritual politics. Unlike other filmstars, he is very grounded person. He is known for his simplicity, humbleness and helping nature. He returns money to distributers from his own pocket, if his films doesn’t do well on box office. The megastar is very punctual, he never makes anyone wait for him. He is quite sensitive towards his fans, that once his 3 fans died in an accident, on the way back from his birthday celebration. After that he stopped celebrating his birthday. He is one of the most admired people in the world. There are numerous temples in south India where people worship him as God. Rajinikanth story is no less than a fairy tale. From a porter to a superstar to God. He is a living proof that even a dark skinned man and an outsider can rule the industry with his talent and will.